Kansas City’s reputation in the 1920s and ‘30s as a destination for revelry earned it the nickname “The Paris of the Plains,” a clever moniker that alluded to the alcohol which flowed freely despite national Prohibition. 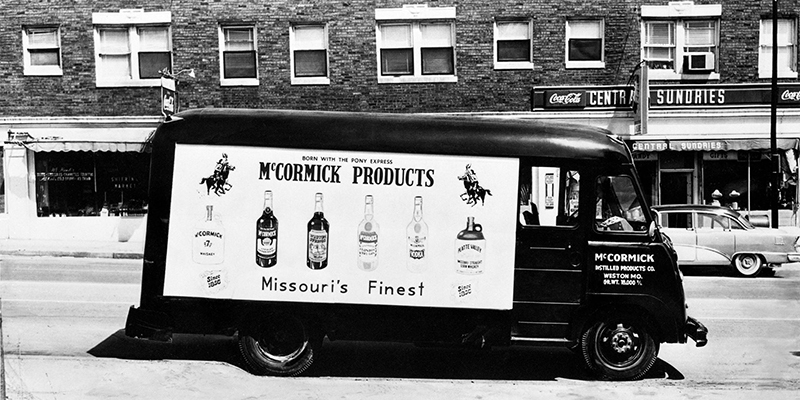 But KC’s spirits industry didn’t start or end there. The Prohibition period only added to an already rich history of brewing and distilling that lives on today with new craft producers throughout the region. The city traces its spirited roots to the late 19th century, when three major pioneers (and familiar names) founded Holladay Distillery (1856), Muehlebach Brewing Company (1869) and J. Rieger & Co. (1887). Holladay called nearby Weston, Mo., home while Muehlebach was based in what is now the Crossroads Arts District (and later moved to The City Market) and J. Rieger called the West Bottoms home. Production for each company steadily increased leading up to Prohibition. 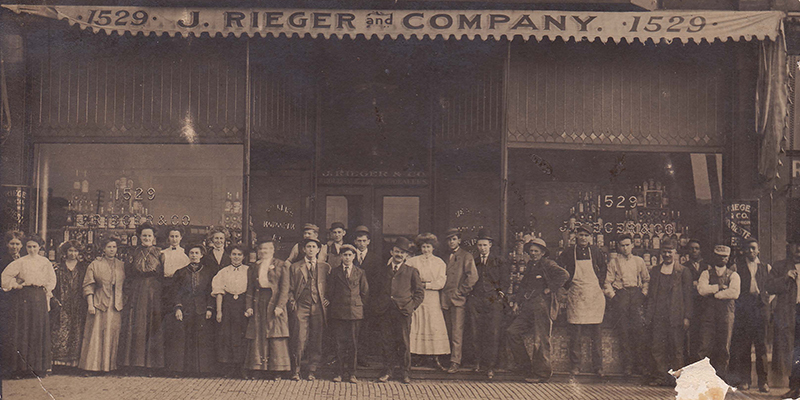 J. Rieger & Co. made a name for itself as the largest mail-order whiskey producer in the country, while Muehlebach brewed 100,000 barrels in 1911—a far cry from its initial capacity of 3,000 per year less than 50 years earlier—making it the second largest brewery in the city. Other notable breweries in the area included the Kansas City Breweries Company, which operated as a conglomerate, allowing it to become the largest brewer in KC for a time, as well as the Imperial Brewing Company—a well-known regional brand in the early 1900s thanks to its Mayflower and Imperial Seal lagers. Another big name was the Heim Brewing Company. The brewer's factory was constructed in 1901 and only a short time later became the largest pre-Prohibition beer producer west of the Mississippi and was especially known for its German-style lagers. 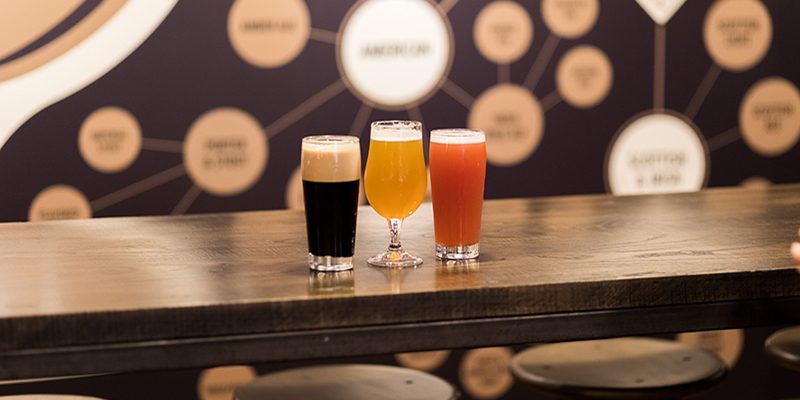 The three brothers behind Heim Brewing also established Electric Park, an all-electronic amusement park in the East Bottoms (and later at 47th and The Paseo) that featured a rollercoaster, beer garden, a vaudeville theater, other rides and more. There was also the Pabst Building in the middle of the current Crossroads, which was constructed in 1911 and operated as a bottling and distribution factory for The Pabst Brewing Co. “Boss” Tom purchased the building in 1920, where his operation sold “near beer” and bottled water—and was rumored to be a front for an underground bootleg operation. The onset of the 18th Amendment, which instated a federal prohibition on the sale of alcoholic beverages, caused many legal brewing and distilling operations to shutter their doors. J. Rieger officially ended operation in January 1, 1920, nearly two weeks before the amendment became law. 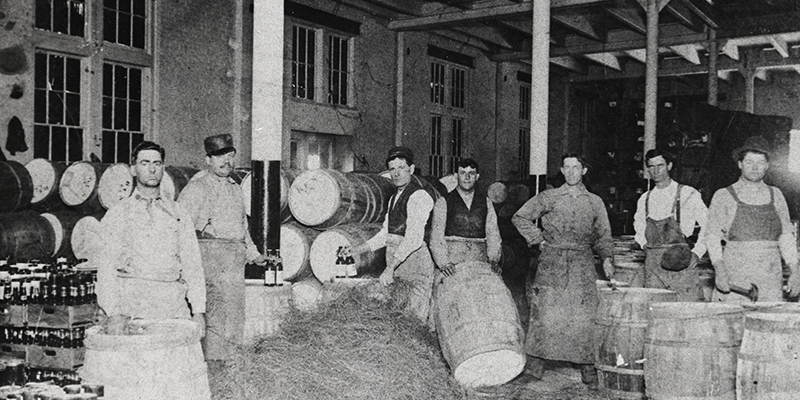 Prohibition also saw the end of the Heim Brewery, which closed in 1918. Electric Park lived on for a couple middling decades until, with no money to invest in its upkeep and two devastating fires that destroyed the infrastructure, the Heim brothers were forced to close it in 1934. 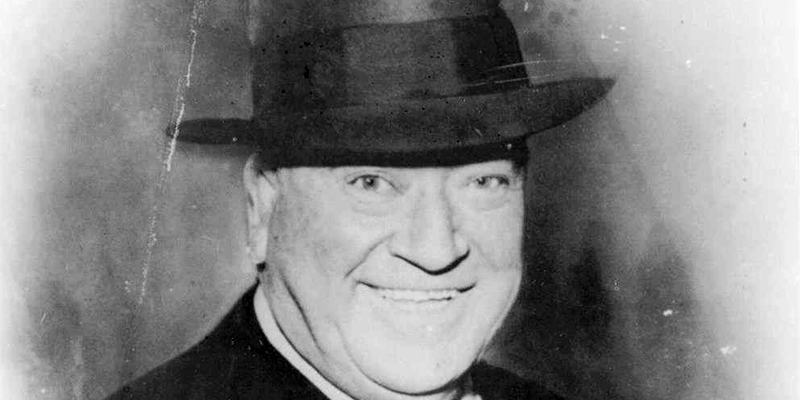 The city’s party scene lived on, however, as officials and officers largely ignored the rule thanks to “Boss” Tom Pendergast’s control over Kansas City. Illicitly made liquor flowed freely in area speakeasies and jazz joints until the end of Prohibition in 1933. 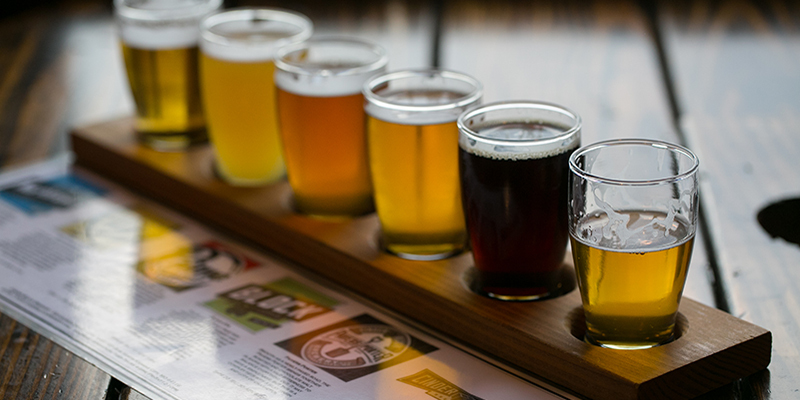 The liquor and beer industry became saturated once again with new and revived brands, leaving little room for local operations. Muehlebach Brewing Company was eventually bought out by Schlitz in 1956 and discontinued in 1973. Meanwhile, Holladay Distillery changed hands (and owners) several different times, officially joined the National Register of Historic Places in 1974 and discontinued public tours in the mid-1990s. 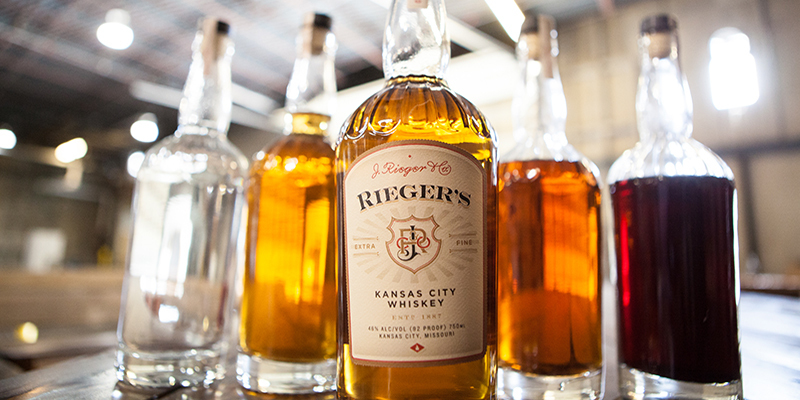 It wasn’t until 1989 that Kansas City began its brewing and distilling revival. In the now legendary tale, brewer John McDonald brought his first keg of Pale Ale to Ponak’s on Southwest Boulevard, where he sold out by the end of the night. Thus, Boulevard Brewing Co. was born. Post-Great Recession, Downtown Kansas City began its own resurgence with the construction of the Power & Light District and Sprint Center. New brewers, inspired by the country’s booming craft beer industry and inexpensive local real estate, founded breweries throughout the region, with major hubs locating in the East Crossroads and North Kansas City. Fast forward a few more years to 2014. Inspired by the old Rieger hotel building, local mixologist Ryan Maybee and Dallas-based Andy Rieger—then the last living Rieger descendant—team up to revive J. Rieger & Co. for the modern age. Now based in the East Bottoms, the J. Rieger & Co. team looks to expand on the region’s heritage by reviving Electric Park as a destination neighborhood and establishing an newhospitality center in 2019—in the former Heim Brewery bottling house, of all places. Soon, new distilleries like Tom’s Town and Lifted Spirits joined in on the action while Holladay Distillery returned to its former glory by celebrating its 160th anniversary in 2016 with an enhanced visitor experience and its first bourbon operation in 30 years. As for the old Pabst Building? 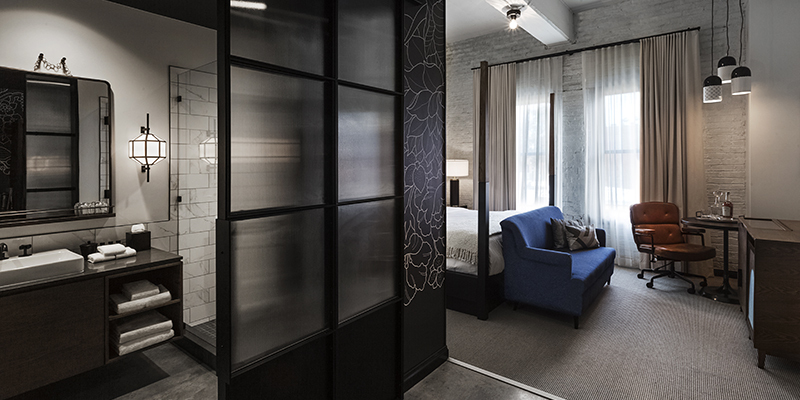 After several lives as a warehouse for various companies, the facility was renovated in 2018 and became the Crossroads Hotel, a chic boutique property in KC’s thriving hotel scene. 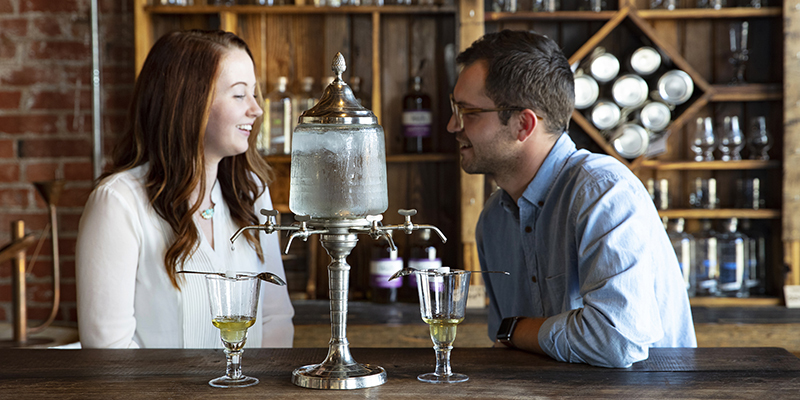 The future is still bright for KC’s spirits scene. 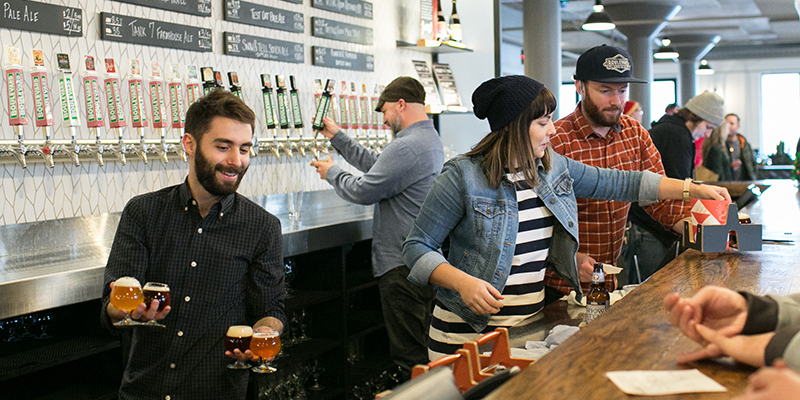 Breweries continue to open across the metro—as demonstrated by the success of the Kansas City Tap Tour, which returns for season 3 in May 2019—while now-established distilleries pile up accolades and awards. 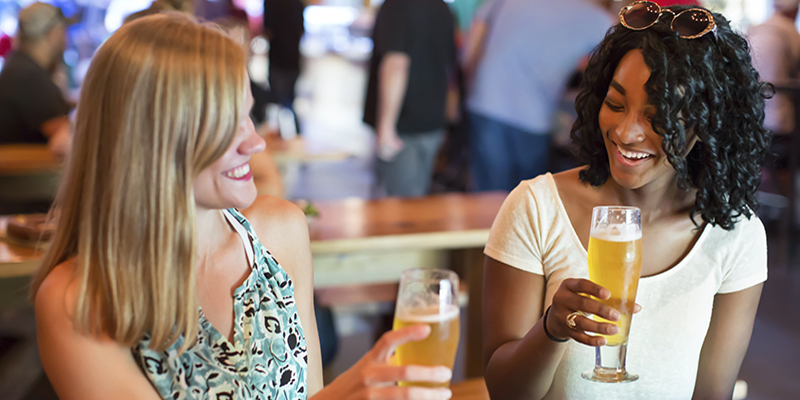 Kansas Citians now spend countless weekend hours on patios, touring facilities and sampling everything from sours and IPAs, stouts and lagers to absinthe, bourbon, vodka and more—a clear indication that there’s no shortage of locally made libations to be found in Kansas City, and no end in sight to the fun for all.